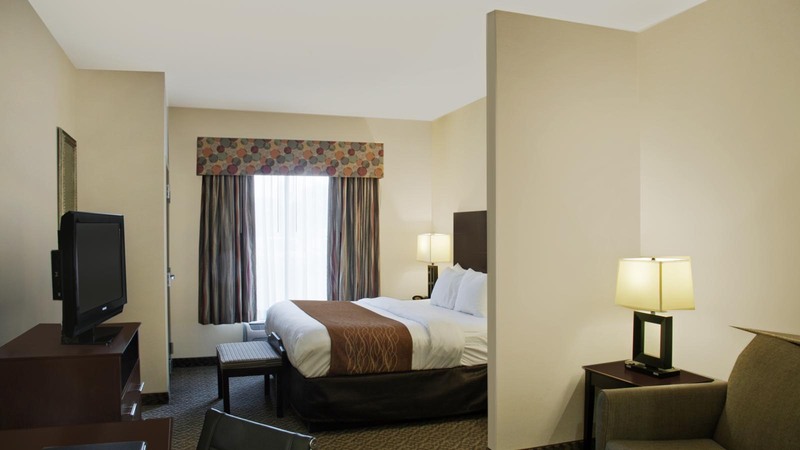 All spacious guest suites are equipped with microwaves, refrigerators, coffee makers, curved shower rods, hair dryers, flat-screen televisions, desks, choice of pillows, pillow-top mattresses, irons, ironing boards, sofa sleepers and cable television. 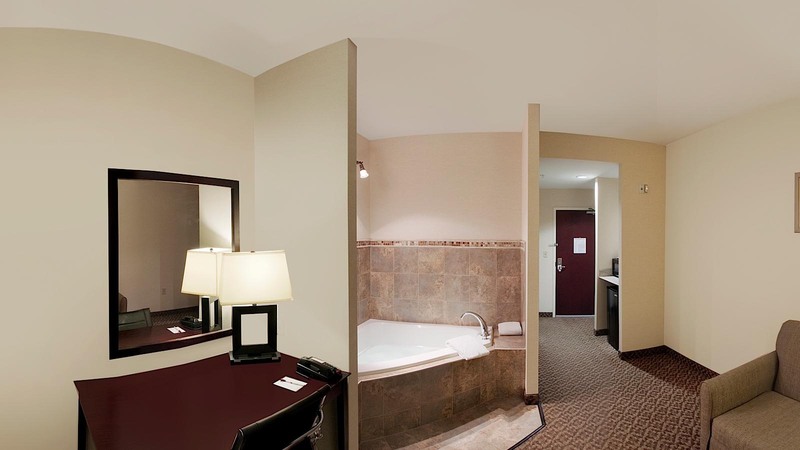 Ask about our rooms that have hot tubs. Connecting rooms can be requested. Corporate travelers will appreciate our hotel's proximity to Syracuse Airport and the amenities provided in the on-site business center, including the public computer with Internet access, copy and fax service. Laundry facilities are located on the premises. 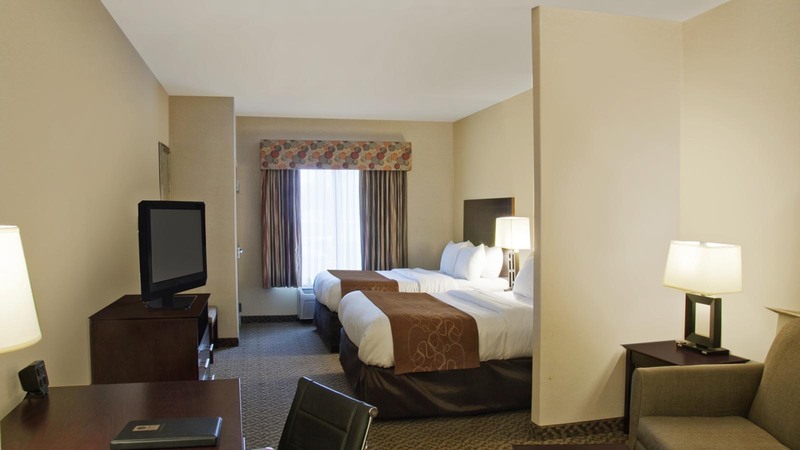 For added convenience, The Comfort Suites Cicero-Syracuse North Hotel is a pet friendly hotel; fees apply. A complimentary pet treat will be provided at check-in. Ample parking is provided and can accommodate most cars, trucks or buses. 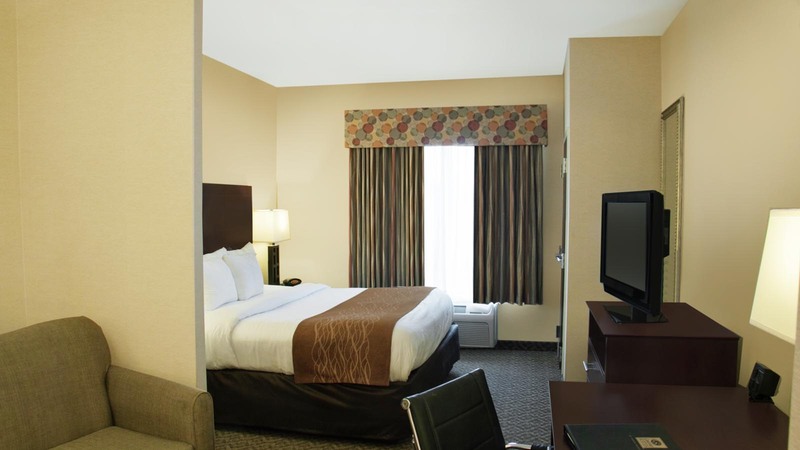 For outstanding accommodations at affordable prices, stay at the Comfort Suites Cicero-Syracuse North Hotel. Whether traveling for business or pleasure, our friendly staff will be delighted to help you in any way they can. Make a reservation with us today.